A Comprehensive Self Defense Guide That Teaches Fast, Powerful & Ruthless Tactics That Work. 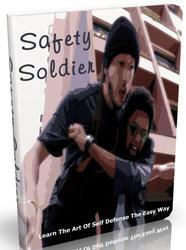 318 Pages & Over 270 Photos Detailing A Complete System Of Self Defense From A Reality Street Fighting Perspective. Learn How to Fight Quickly and Easily with the Brutal Street-fighting Tactics of an Ex-biker and Street Fighter that will Smash and Humiliate any Low-life Scumbag that Dares to Threaten Your Life! 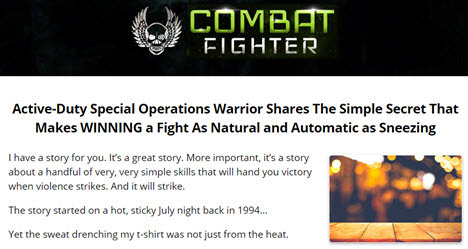 Here's a preview of some of the incredible secrets you'll learn in this Street-fighting & Self Defense Guide: Simple and direct combinations that go straight to the weak vulnerable targets that no one can protect targets that when hit will put even the biggest men in hospital and maim them for life. How to cover against any attack when the attacker is rushing and swinging at you. How to avoid potential hot spots where attacks are more likely because if you don't have to fight all the better let the predators move on to easier prey so that you can enjoy your life instead of risking losing it to a bunch of loser scumbags! How to handle the interview process the outcome of which will determine whether you're percieved as an easy victim or a potential threat by any thug or street gang hoodlum. The safest and fastest way to rip a loaded gun right out of a street mugger's hand breaking his arm as you go and using his own gun against him if you need to. Throw the biggest of crims smashing their heads into into pulp on the ground no matter how small you are and without needing any knowledge of complicated judo or wrestling throws. Author: Dr Geoff Aitken, Ph.D.
Real street fight self defense techniques show you how to win a street fight in close quarters combat without fancy martial arts tricks. You will learn how to rick your attacker into opening up his most vulnerable targets, practically begging you to take him out with one single strike. You'll have complete control over his body once you combine this simple hand movement with a nearby wall to break bones, cause concussions and render your attacker helpless. Become a bare-knuckled brawler! Cushioning your hands with padding and gloves doesnt work on the street. Discover the knockout tecnique that's proven countless times (in bars and real street combat!) to be more effective than your heaviest haymaker at dropping an opponent to the ground like a bag of dirt. How to drill into soft tissue spots like an oil rigger to cause instant and uncontrollable panic in your attacker and shut down his ability to fight! A 3-inch hidden-in-plain-sight target that no one not even elite spec ops soldiers recognize as one of the most debilitating spots on the human body! A strange split-second/instant pain move that requires absolutely no skill or practice to master.and works even Better against bigger attackers with some meat on their bones! Similar to the basic hand to hand combat taught by many, this art also has more metaphysical training, teaching its students to be better mages as well as passable fighters. Its teachings are that energy is a malleable force, be it the energy of an opponent's attack or the energy of a spell. Developed in Dweomer by a battle mage, it was later spread to Tolkeen, Lazlo, the rest of the Federation of Magic, and New Lazlo. Its teachings are simple, but very effective, teaching the average mage both basic self defense and better control over his magic. Capoeira, a Brazilian martial art, was born in the senzalas, where African slaves were kept. Capoeira blends elements of dance, music, rituals, acrobatics, and fighting. It is primarily a stylized dance, practiced in a circle called the roda, with percussion instruments providing sound. In addition to unarmed techniques, weapons are taught maculele, done with blades, and maracatu, done with sticks. It is very common for a capoeirista to have two or three nicknames. When a person is baptized into the art of Capoeira, they are given a nickname. Get All The Support And Guidance You Need To Make Sure You Are Safe In This Crazy World! This Book Is One Of The Most Valuable Resources In The World When It Comes To The Art Of Self Defense The Easy Way! 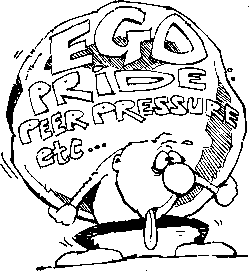 Try not to get ensnared in your own little bubble and be cognizant that there are people outside of your domain. Whether we like it or not there are individuals out there whose aims are not always advantageous.